In a letter published in Nature today, the UK Biotechnology and Biological Sciences Research Council (BBSRC) and Science Council have called for better-defined career paths for technical staff in research and higher education. The BBSRC conducted a survey among 800 technicians and laboratory assistants last year, which found a blurring between technical and academic roles. For example, 80% of those surveyed had contributed to research papers and 19% were first authors. In 2012, the Science Council instituted two new professional statuses, Registered Science Technician (RSciTech) and Registered Scientist (RSci), which along with promoting Chartered Scientist status to the most experienced technicians, seeks to address the lack of recognition for standards and professionalism within the technician community. The Science Council is working closely with the BBSRC to raise the profile of professional technicians and the valuable contribution they make to STEM research and Higher Education. 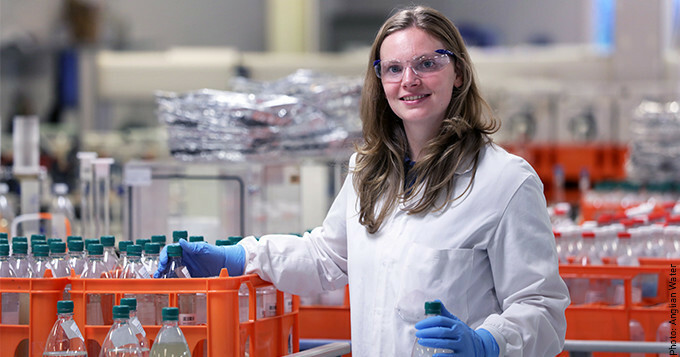 The Science Council works with Higher Education Institutions to recognise their technical staff and help improve employability of science graduates through our Employer Champion Programme. Find out more.